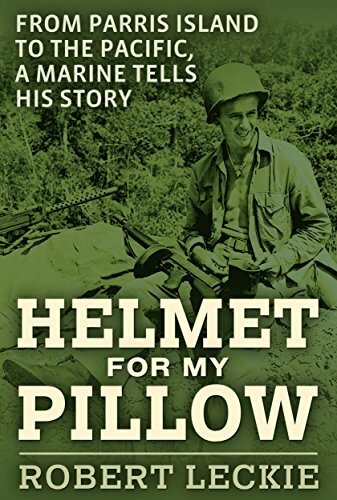 Helmet for My Pillow, first published in 1957, is Robert Leckie’s masterful account of his service in the First Marine Division from basic training on Parris Island, South Carolina, to the hard-fought battles on Guadalcanal, New Britain, and Peleliu, with a brief respite in Australia. Leckie describes the fighting from a first-hand perspective, and interlaces his story with his thoughts about war and fighting. Helmet for My Pillow remains one of the classic accounts of the war in the Pacific and was the basis for the HBO mini-series The Pacific. I originally saw this book at Barnes and Nobles, but I didn’t get it because of the price. But a few days later, I saw it for a few dollars at Half-Price Books and I had to get it. It was an amazing story and showed me a bit of a different view of World War II. Leckie added a lot of persanol stories to his narrative which I really liked. There was some language and comments of things he and others did which were wrong. I enjoyed learning more about the World War II marines through this author’s eyes. This was a great World War II book that I enjoyed.